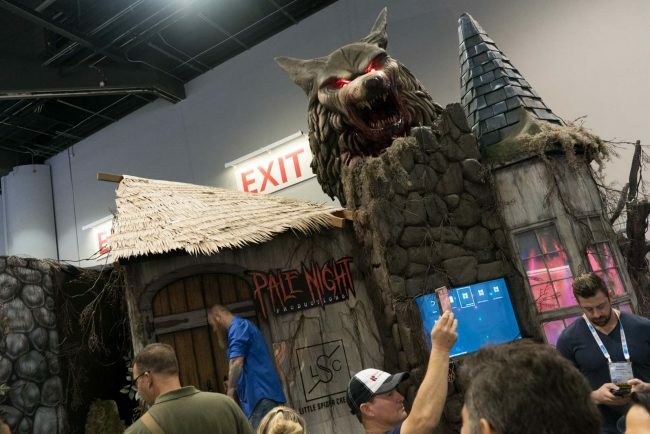 Exhibitor Pale Night Productions at IAAPA 2018 Halloween may be over for the rest of the country but at Pale Night Productions the haunts must go on! Halloween may be over for the rest of the country but at Pale Night Productions the haunts must go on! 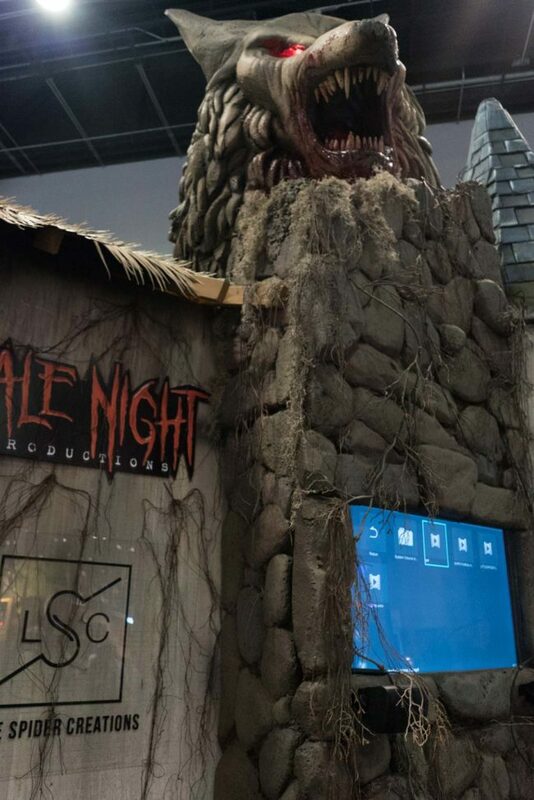 This year at IAAPA Pale Night Productions put on a demo haunted house and it was awesome! 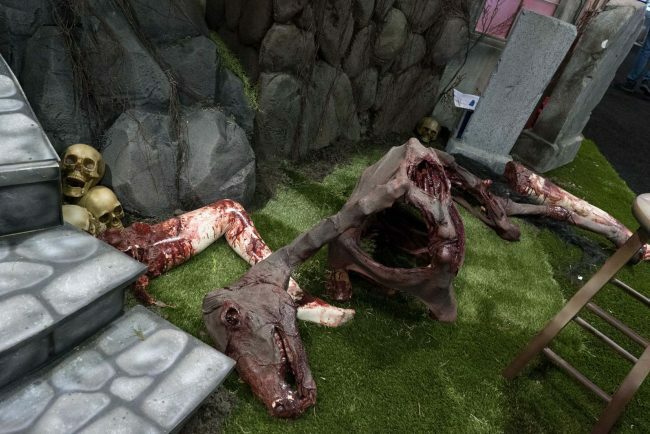 This company strives to innovationate and consistently create the most technologically advanced props and effects available to the haunted attraction industry. From Animatronics, Actor Props, Make-up Effects, Complete House Set-Ups, and more there is so many products they offer. You can really tell this company takes pride in their work and put effort into all of their products. Even their employees who represent this company at IAAPA have a great passion for halloween and creating really cool stuff! 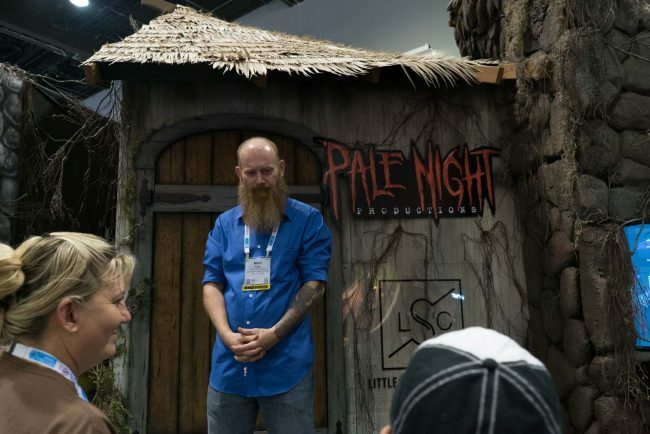 Pale Night Productions is known throughout the amusement industry as a leader in haunted attraction fabrication and installation. Their complete attractions are loaded with high tech scares and Hollywood quality sets. Pale night productions creates haunted attractions that soar above the competition and are guaranteed to impress whomever dares to go inside. Pale Night Productions has two attractions in the United States at the moment (I hope there is going to be more soon! ), there is one in Myrtle Beach, South Carolina and one in Pigeon Forge Tennessee. They are called Outbreak: Dread the Undead. In attempt to make an alpha strain a science experiment gone wrong leading you into rooms of zombies! I go to Pigeon Forge a lot (Dollywood, Anyone?) and I have seen this attraction, but I never got the chance to do it. Next time I go to Dollywood I am planning to try it out is I can let you know how it went! Pale Night Productions put on a great house, it was awesome to experience the technology at work to scare people. To see the Walkthrough POV you can watch the video below.